eosBLACK is listed on Coinzest, a Korean Won Exchange. This is the second Won Exchange listing we are having since our listing on Cashierest last October. Our BLACK token is now being traded through more various Won Exchanges. Coinzest , the first exchange in Korea to implement a trading mining system issued their own ERC20 COZ token and not only obtained a IOS27001 certification, the most prestigious security certification in the world but also operates a 24/7 customer service center. It is considered as a high quality exchange in terms of security and customer service. With our listing on cryptocurrency exchange, Coinzest, it is expected to have a positive effect on the liquidity of BLACK tokens as it can be traded through more different exchanges. 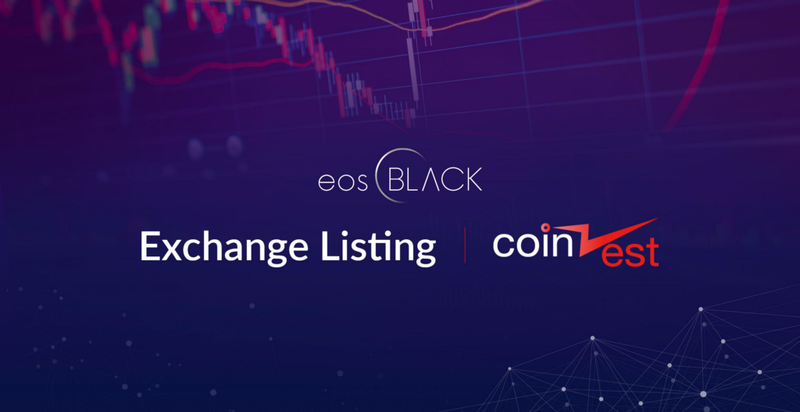 eosBLACK will continue to make efforts to listing on the various domestic and foreign exchanges. eosBLACK is listed on Coinzest was originally published in eosBLACK on Medium, where people are continuing the conversation by highlighting and responding to this story.